1. Visa - NG1: issued for members of delegations invited by General Secretary, Central Committee of Communist Party of Vietnam, Presidents, National Assembly Chairman and Prime Minister. 2. Visa - NG2: the visa to Vietnam is issued for members of delegations invited by the Permanent Secretariat of the Communist Party of Vietnam; Vice President, Vice-President of the National Assembly; Deputy Prime Minister, Chairman of the Central Committee of the National Liberation Front, Supreme People's Court President, Supreme People's Procuracy President, the General State Auditor; and delegations of ministers and equivalent, Party Committee Secretary, Party Secretary, Chairman of the People's Council, and Chairman of the Provincial or municipal People's Committee. 3. Visa - NG3: issued for members of diplomatic representative office, consular offices, and representative offices of international organizations of United Nations, representative offices of inter-governmental organizations, their wife, husband, children under 18 years old and maids. 4. Visa - NG4: issued for those who apply visa Vietnam to work for diplomatic representative office in Vietnam, consular offices, representative offices of the United Nation, the representative inter-governmental office; who come to visit the members of the diplomatic representative office, consular offices, representative offices of the United Nation, the representative inter-governmental office. 5. Visa - LV1: issued for people who work with offices, units of Communist Party of Vietnam. National Assembly, Government, National Liberation Front of Vietnam, Supreme People's Court, Supreme People's Procuracy, Ministries and ministerial-level agencies, offices of government, provinces, cities, People's Council, People's Committee under the centrally city. 6. Visa - LV2: issued for people who get visa for Vietnam to work with social-political organizations, social organizations, and Vietnam Chamber of Commerce and Industry. 7. Visa - DT: issued for foreign investors in Vietnam and foreign lawyers working in Vietnam. 8. Visa - DN: issued for people who enter Vietnam to work with enterprises in Vietnam. 9. Visa - NN1: issued for people who are head of representative office, projects of international organizations and non-government organizations in Vietnam. 10. Visa - NN2: issued for head of representative offices and branches of foreign businessmen, representative office of economic, cultural organizations, and other foreign professional organizations in Vietnam. 11. Visa - NN3: issued for people who enter Vietnam to work with foreign non-government organizations, representative offices, branches of foreign traders, representative offices of foreign economic, cultural and other professional organizations in Vietnam. 12. Visa - DH: issued for people who enter Vietnam to participate in internship or to study. 13. Visa - DL: issued for people who enter Vietnam to travel. 14. 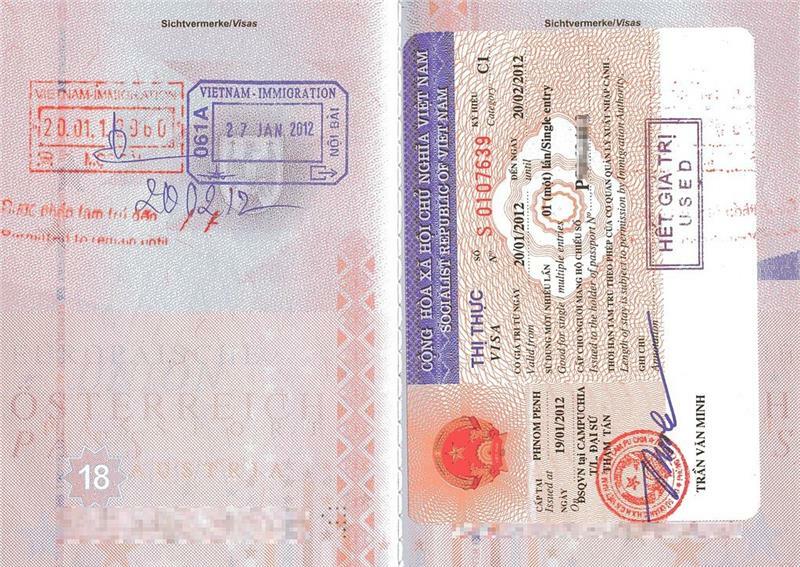 Visa - PV1: issued for people who are permanent resident journalists in Vietnam. 15. Visa - PV2: issued for people who are temporary journalists in Vietnam. 16. Visa - LĐ: issued for people who enter Vietnam to work. 17. Visa - DL: issued for people who enter Vietnam to travel. 18. Visa - TT: issued for foreigners as spouse, offspring under 18 years old of the foreigners issued visa of LV1, LV2, ĐT, NN1, NN2, DH, PV1, and LĐ; or foreigners as parents, spouse, or offspring of Vietnamese citizens. 19. Visa - VR: issued for foreigners who get Vietnam visa to visit relatives or other purposes. 20. Visa - SQ: issued for cases regulated at Clause 3 of Article 17 in Immigration Control Law.